This is an indoor event with great parking. If there is a hurricane advisory please check back as we will follow the progress of the storm and follow the policy of the Miami Springs Recreation Center regarding the event. No postponements, cancellations only. due to severe inclement weather or tropical system. We are looking to have volunteers filling many roles. If you are interested, please contact me at 786-505-4631. Ask for Rob Gordon. Please note this agenda is subject to change on or prior to event without notice. 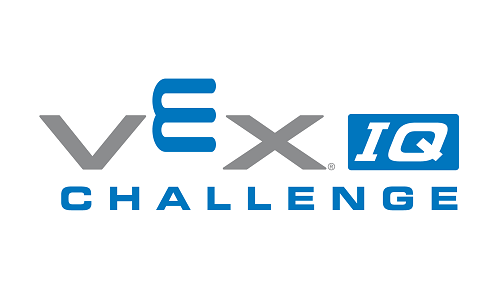 Thank you so much for choosing to compete in the 3rd Annual Junior Orange Bowl VEX IQ Middle School State Qualifying Competition. We know that you will have a great time. This is the third year of this event and we are looking forward to a great time of competition and fun. Please remember to have safety glasses for all competitors and have bots inspection ready upon arrival. Additionally to expedite the registration process please have Photo Release forms completed prior to arrival to the event. Teams that qualify for a Florida State Championship Event in Florida will be responsible for "properly selecting" either the Sourh Florida or the Central/North Florida State Championship. We now have two Florida State championships--where do we go? When you win a state championship spot from a qualifying competition, you will have two weeks to register and pay for ONE of these (Yes--you only can play in one state championship) -- your selection is FINAL, you cannot change later under "any" circumstance for "any" reason. Each event qualifies for BOTH state championships and you will rcieve a notification for each (unless when we have different state championship dates-qualiification events between the two dates will only qualify for the latter state championship).Failure to not register and pay within two weeks of the competition date where the state championship spot was earned forfeits your teams state spot--so be sure and plan ahead to register and pay on time and determine in advance the appropriate state championship you plan to attend. Teams are responsible to have teams registrated and fees paid two weeks following earning the state championship spot, unless of course the event you win a state spot at is in the the final two weeks before states, in which case you must be prepared to pay immediately following that event. Plan with your teams from the beginning of the season on which state championship you plan to register for and compete--NO CHANGES AFTER THE TEAM IS REGISTERED. **The State qualifying Skills score cut off will be two weeks prior to the state championship. The number of teams coming qualifying from the skills list is based on open spots after all events have completed two weeks prior to the state championship. While teams at events now fill double qualified spots from skills at the event, there will still be teams winning spots from multiple competitions, these additional spots come from the top combined skills scores to teams who have not yet won a spot for a state championship as in previous years. Teams that qualify from the states skills list will have a short time to registered and pay for the state championship, please plan accordingly and be prepared for a potential inviatiaton two weeks prior to the state championship (either one). 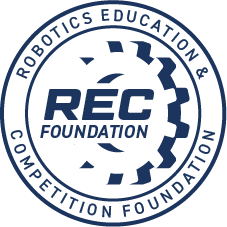 The teams coach who is officially listed in robotevents as the primary contact receives all team emails, so read the email titles and content carefully. All attendees are expected to abide by the code of conduct . We look forward to seeing you and your respected competitors for another exciting event.